The EndoSheath protective barrier is an FDA-cleared, sterile, single-use product with an integrated working channel, for use with Cogentix Medical’s state-of-the-art PrimeSightTM flexible endoscopes. The EndoSheath protective barrier covers the endoscope from end to end, isolating the endoscope from patient contact and protecting the endoscope controls from contamination during the procedure. Since the disposable EndoSheath protective barrier includes a working/operative channel for suction, irrigation and tool passage, physicians can use the PrimeSight endoscopes with the EndoSheath protective barrier for a full range of diagnostic and therapeutic procedures. Reduced endoscope reprocessing and down time means that you can meet you endoscopy needs with fewer endoscopes. Plus, unplanned endoscopies can be more easily accommodated. EndoSheath protective barriers are used during endoscopy. For your convenience we’ve assembled reimbursement information for endoscopy procedures. 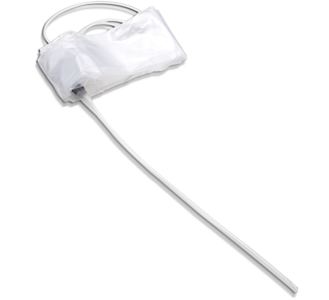 EndoSheath products are used with flexible endoscopy systems in urology, bariatric medicine, critical care, gastroenterology and pulmonology. Talk to your Territory Manager for more information about how the PrimeSight Endoscopy System can enhance the efficiency of your practice.